Connecting the citizens of Minnesota to their legislators. Minnesota's direct line to your legislators. 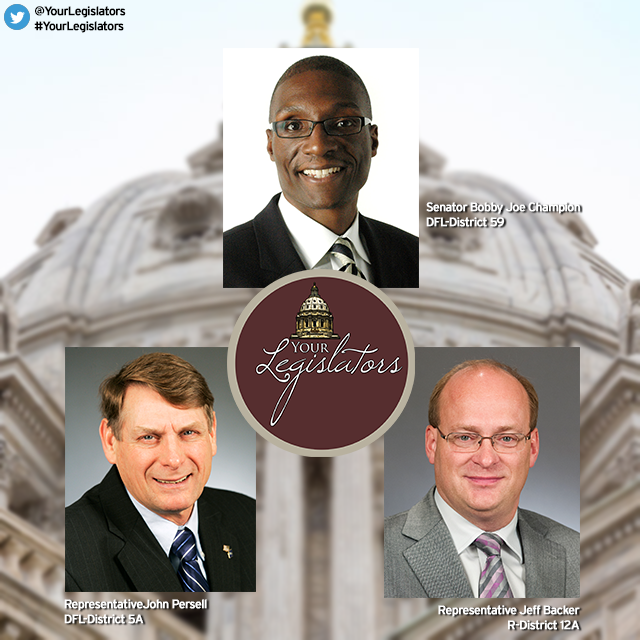 First airing in 1984, Your Legislators is a live, one-hour public affairs program produced for public television stations serving the citizens of Minnesota. It's produced out of the studios of St. Paul Neighborhood Network and allows moderator Barry Anderson to field questions from viewers and provides a forum for citizens to directly obtain information about state issues that most concern them. A look back at Barry Anderson's 25 years as Moderator on Your Legislators.